Short walk from the El Time viewpoint down to the Puerto de Tazacorte, obtaining superb views over it. 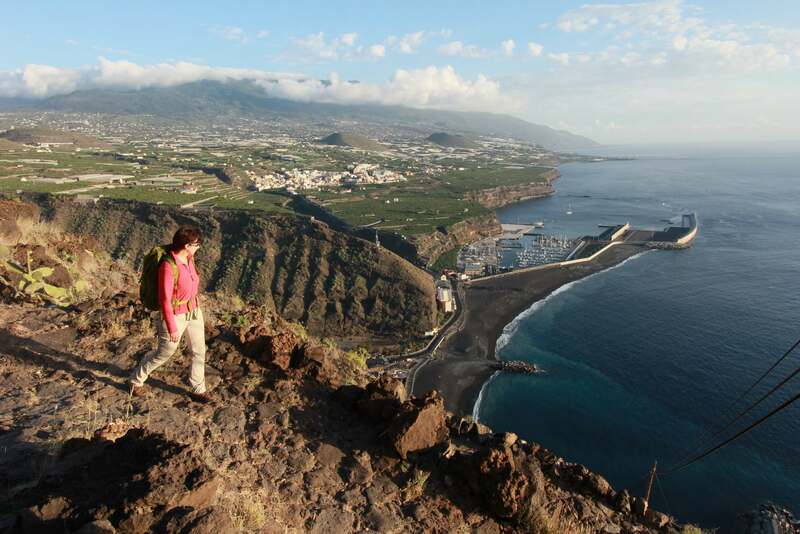 Puerto de Tazacorte is ideal to have a swim and eat some fresh fish. As you walk, keep in mind that every May, thousands of runners travel this way to make a dream come true: competing in Transvulcania.